Wow, Roy Scheider's first movie! 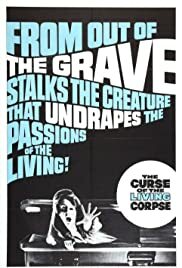 Was there a Living Corpse? The burned victim and others deaths. It was on AMCtv last week! Your most feared way of dying? Scared me to death when I was little! New DarkSky DVD - Recommended !